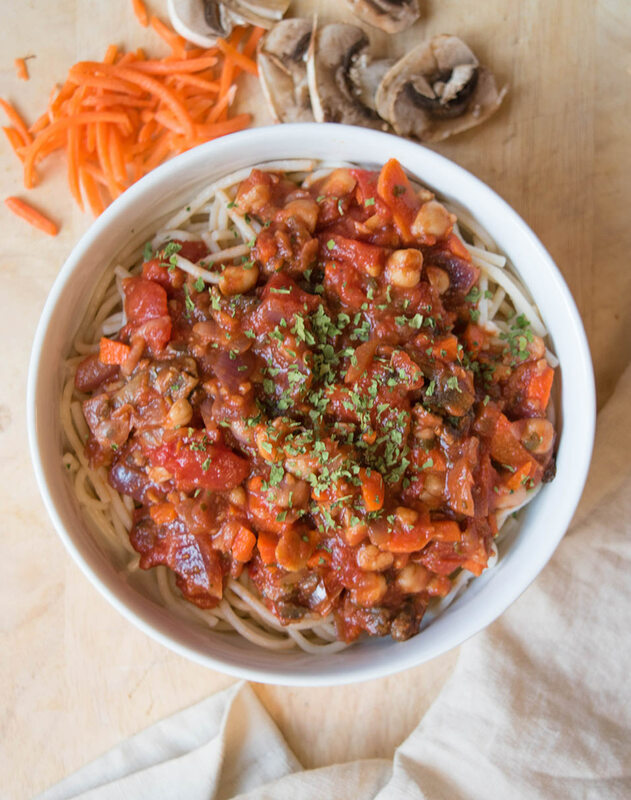 Easy Chickpea Bolognese — Copina Co.
Got 15 minutes and want something delicious and totally nourishing for dinner? Try easy Chickpea Bolognese pasta! It's completely plant-based, gluten-free, and is loaded with veggies and goodness to make you feel awesome. Imagine that after eating a big bowl of pasta! 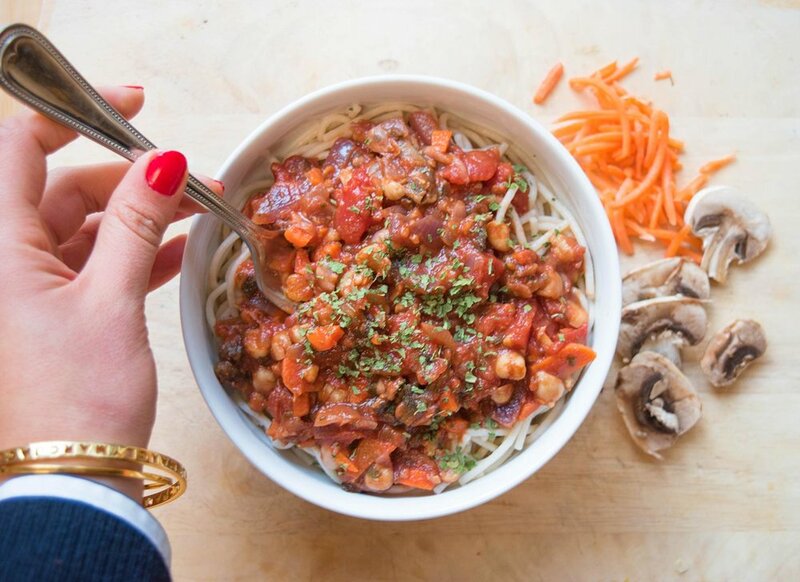 This meatless bolognese is just plain heaven. It's made with chickpeas, carrots, mushrooms, and onions that give a plant-based heartiness to the dish and add so much more flavor than any meat. That's why this dish is so perfect for anyone who is new to eating vegan for a meal and wonders how you can have dinner without meat! This dish has become a new staple in my kitchen and I know you'll love it in yours. You can find either this bolognese or my cashew kale pesto pasta on my stove on almost any given weeknight - it's that good! There are plenty of veggie bolognese recipes out there, but I wanted to make one that's a one-pot sauce to make it as easy as possible to put together. Start by heating a large sauce pan with olive oil, then add your chopped red onions, garlic, chickpeas, and a dash of salt. Chopping the chickpeas helps give your sauce a fine texture and makes them easier to eat with the noodles. Feel free to leave this step out, however, if you'd rather eat them whole. Saute the onion, garlic, salt, and chickpeas in the olive oil on medium heat for about 3 minutes, or until the onions are slightly translucent. Next, add the chopped mushrooms and carrots and saute for about 2 minutes before adding the diced tomatoes, tomato sauce, and spices. Saute for 2 more minutes, then you're ready to serve! Just pour as much of the sauce as you like over your pasta and eat up - it's all fantastic for you and tastes even better.